Brussels' chief Brexit negotiator has said a transitional arrangement with Britain may be necessary, must be limited in time and subjected to EU laws. 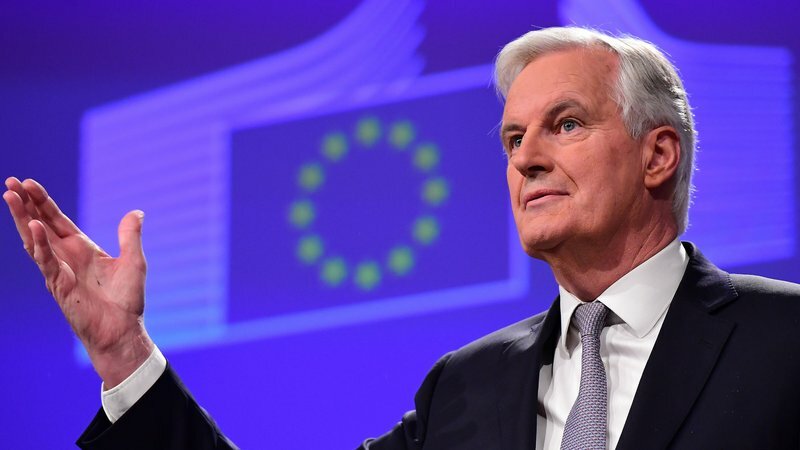 Appearing before a European Parliament committee, Michel Barnier outlined the European Commission's conditions for a Brexit deal. He said the EU agrees with Prime Minister Teresa May’s desire to have a bold and ambitious free trade agreement. But he said there can be no a la carte participation in the single market. There should be continued EU-British cooperation on security and defence and that security cannot be a bargaining chip on trade talks, he added. Britain must reach a deal on what it owes the EU before talks can start on a post-Brexit trade deal, he also said. "When a country leaves the union there is no punishment, there is no price to pay to leave. But we must settle the accounts, no more, no less," he said. European Council president Donald Tusk is due to publish guidelines for the EU's response to Brexit within 48 hours of receiving the historic Article 50 letter on 29 March formally informing him of the UK's intention to leave. Leaders of the remaining 27 EU states will gather in Brussels on 29 April to agree a negotiating mandate for Mr Barnier, allowing talks to begin in earnest in May. A leaked version of the Tusk guidelines obtained by Dutch newspaper De Volkskrant suggested Brussels is ready to take Britain to the International Court of Justice in The Hague if Mrs May refuses to pay a "divorce bill" reported to reach as much as €60bn. The newspaper quoted an unnamed EU official as saying: "In that case it is, see you in The Hague." Insistence that access to the European single market is conditional on observing the EU's "four freedoms", including the freedom of movement of people to work and settle. Reciprocal arrangements for EU nationals living in the UK and Britons on the continent to retain their residence rights. A requirement for Britain to lose some of its trading advantages as the price of giving up EU membership. The European Parliament insisted on Wednesday that there can be no discussion of future ties with Britain until the divorce conditions are finalised, rejecting a key demand of British Prime Minister Theresa May. MEPs added their voice to German Chancellor Angela Merkel, who rebuffed May's call for negotiations for Britain's withdrawal to run alongside talks on a trade relationship after Brexit. "An orderly exit is an absolute requirement and a precondition for any potential future EU-UK partnership. This is not negotiable," European Parliament chief Antonio Tajani told a press conference. May triggered the historic two-year process of Brexit talks today, following Britain's shock June 2016 referendum vote to leave the European Union. In a resolution to be approved next week, lawmakers said there "should substantial progress be made towards a withdrawal agreement then talks could start on possible transitional arrangements". Any transitional period to work out a trade deal after Britain formally leaves the European Union in March 2019 should be limited to three years. "We don't exclude a transitional period, which from our point of view should be limited in time. We propose three years," the European Parliament's chief Brexit negotiator Guy Verhofstadt. The resolution also calls for Britain to quickly settle uncertainties over the rights of EU citizens living in Britain, and over the bill that the EU says it must pay to withdraw. The European Parliament will have the final say on any Brexit deal in a vote expected at the end of 2018 or in early 2019." A divorce proceeding where the wife DEMANDS ownership of their house and car as a condition before settlement discussions can proceed is just as crazy as that DEMANDED by the EU. ALL pieces of the divorce proceedings must be on the table in order to arrive at a fair and just progression. Removing and claiming ownership of the most valuable assets as a condition BEFORE talks can proceed is surely a totally un-acceptable proposal and we find ourselves in a ´catch 22´ situation.